All thanks to the ancient spiritual practices that originated in India as a means to enlightenment, the country is one of the most desired destinations for healing and wellness, second to none. It is a heavenly abode for people traveling in pursuit of rejuvenation and spiritual awakening. Ensuring the finest experience of a lifetime, the Wellness Retreats of India helps you to indulge into the ethereal odyssey amidst the beautiful concoction of tranquility and opulence. Here, we present to you some of the most prominent wellness retreats of the nation, assuring a perennial experience to invigorate your soul. To Get a best package: Wellness Tour. An award winning luxury bliss situated in the Himalayan foothills, the Ananda Spa is surrounded by the exotic Sal forests. The retreat will not only sweep you off your feet with its beauteous surroundings but will also redefine your lifestyle by providing the traditional premium practices of Ayurveda, Vedanta and Yoga mingled with the best International experiences of wellbeing. Lying in the serenity of the Himalayas, it offers myriads of therapies and healing programs to tranquilize your body and mind. Specializations: There are specialized treatments to cure blood pressure, eliminate toxins and treat insomnia, depression, gynecological issues, neurological disorders, rheumatism, arthritis, stiffness and sports injuries. Take a flight from Delhi Airport to Jolly Grant Airport, Dehradaun. The retreat is a 40 minutes captivating drive from the Airport. Take a train from Delhi to Haridwar, followed by a 90 minutes drive to reach the place. Set on the tropical gardens of South India, Somatheeram is known to be the world’s first Ayurveda Hospital set in a resort ambience. Providing the best of traditional Ayurvedic therapies and yoga, it is one amongst the most popular wellness retreats of the nation. The Ayurveda packages here include the Rejuvenation therapy, Detoxification, Slimming, Anti Ageing, Beauty Care and treatment for Stress Management. Amidst the copious healing programs that it offers, Somatheeram also provides for abounding activities like cultural programs, indoor games, boating, mehndi designing and phenomenal elephant rides. Aimed at providing the perfect concoction of health and good times, a visit to the resort is the best way to rejoice your holidays in Kerala. Specializations: Specialized Ayurveda and Yoga treatments to heal variegated ailments and a number of tours to let you explore the marvels of Kerala. Fly to Trivandrum Airport in Kerala. Your transfer from the airport to the resort is arranged by their personnel. On an average, it takes about 30 minutes to reach the place by taxi. Spiritual & Wellness: A Tour to the Birth Place of Yoga, Meditation & Spirituality. Nestled in the lap of exotic frangipani gardens and other fascinating landscapes, the Shreyas Yoga Retreat in Bangalore is one of the top wellness retreats in India. With a wide range of rejuvenating therapies including the Panchakarma, the silent retreat, the yoga retreat, weight loss packages, detoxifying packages and the exquisite culinary experience, the resort is dedicated to promote the authentic tradition of Yoga, thus, enabling the guests to integrate the abounding facets and benefits of yoga into their daily lives. Specializations: Yoga and meditation sessions to cleanse your body and mind, the best spa treatment and the organic vegetarian food to detoxify the body are all a part of the resort’s forte. You can fly to the Bangalore Airport and thereafter hire a bus or a taxi to make your way to the resort, which is approximately 45 kms from the Airport. Aimed at fostering the state of well being in individuals, the Isha Yoga Centre is situated amidst the foothills of Velliangiri Mountains in South India. Established by Sadhguru, the centre is a home to countless individuals who visit the centre in quest of inner peace and well being. As part of your daily regime, you need to dip into the sacred waters of the teerthakunds, followed by yoga and meditation. There are umpteen therapies and Ayurvedic treatments for successfully treating ailments of all kinds. Set on the shores of Arabian Sea, 12 kms away from the backwaters of Alappuzha, the Carnoustie Ayurveda Resort is an opulent abode that provides you a perfect reinvigorating escapade. With abounding miraculous activities including Ayurveda, naturopathy, acupressure, yoga, pranic healing, meditation and diet, the resort offers a wide range of wellness programs to exhilarate your soul. These include: the Panchakarma-detoxification, Rejuvenation, weight loss, anti ageing and stress management programs. 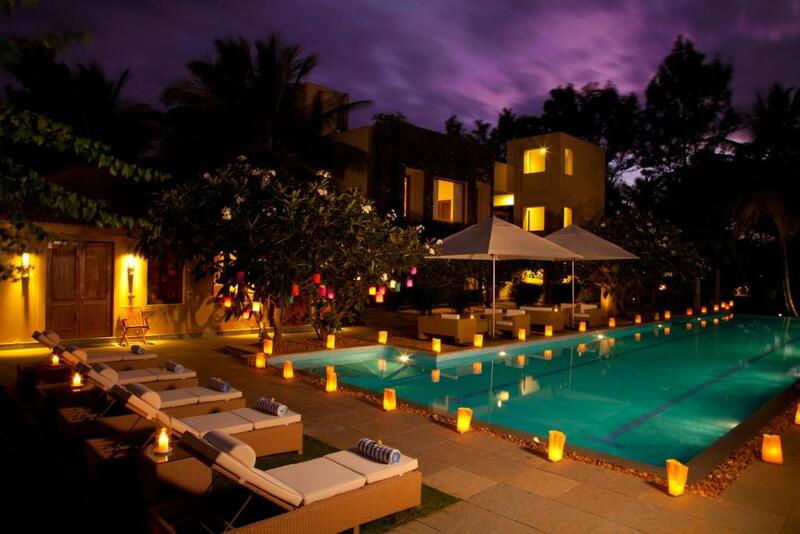 The plush villas at the resort with the amenities of a private pool provide an extravagant feel amidst the nature. Specializations: Ayurveda, naturopathy and yoga to achieve enduring health and happiness; Rejuvenating massages and therapies along with several other activities to enrapture your stay. Fly into the Cochin International Airport. The resort is approximately 65 kms away from the airport. Just 10 kms away from Panaji-the capital city of Goa, Devaaya is one of the most prominent Ayurveda and Nature cure centre that provides all the comforts of a five star resort and the extensive treatments of a therapy centre. Nestled on the Divar Island and featuring the traditional Goan style cottages, the Devaaya resort is a perfect place to unwind in the lap of nature. Specializations: Ayurvedic treatments including Panchakarma and naturopathy to heal ailments like joint pains, rheumatism, arthritis, diabetes, asthma and obesity; Packages to detoxify and rejuvenate your mind and body. Fly into the Goa Dabolim Airport. 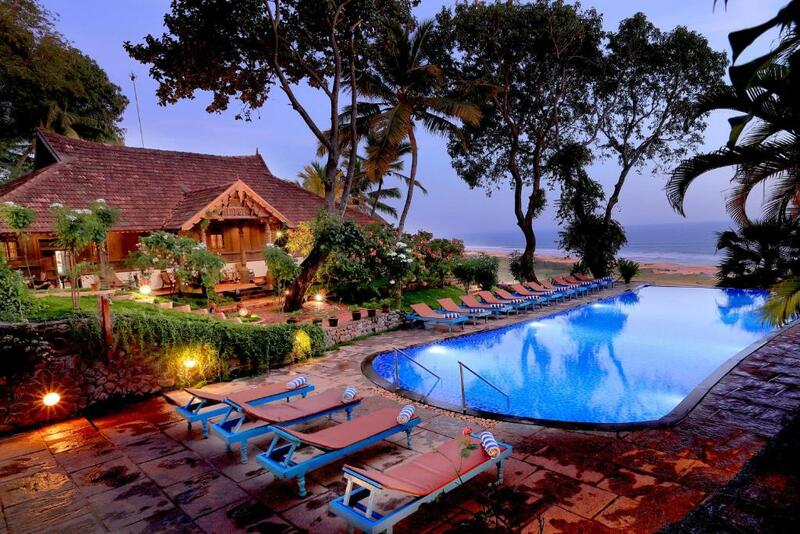 The resort is approximately 35 kms away from the airport and around 45 kms from the Vasco Railway Station. True to its name, the SwaSwara located on the west coast of India is truly a haven for those in pursuit of peace. Inspired by the word OM-the first sound of creation, the resort is known to provide a rejuvenating escapade from the commotion of life. There are programs starting from 5 nights onwards to help you transform yourself for better. The treatments here are tailored to meet the individual requirements and a colossal team of chefs, doctors, therapists and artists guide you throughout your journey of transformation. Specializations: Ayurveda, yoga, meditation, art yoga, spa etiquettes and medication along with proper diet are all the important facets of this resort. Fly into the Goa Dabolim Airport. The resort is approximately 3.5 hours away from the airport. Looking for a rejuvenating holiday in India ? Luxuriate in the tranquility of the best wellness resorts here. Call VUE INDIA NOW for any further queries. To know more about the best available wellness packages, click here !